Most people acknowledge the usually vicious assault of imperial wars that politicians call counter-terrorism strategy has forced developing states to capitulate to America, but the subtle variation in different types of imperial power gives us an even more disturbing picture on the likely coercion of states that aren’t explicitly invaded. Luckily, we have international relations theories and evidence that allows us to examine where the relationship between America and Ecuador stands right now and why. Is it hard power, soft power, or something in-between? These theories, the data point to a highly coerced Ecuadorean administration that is choosing to support US imperial policy rather than stand tall, defend its nation’s and previous administration’s historic record on human rights, allowing itself to be used as a proxy for the authoritarianism of America at large. 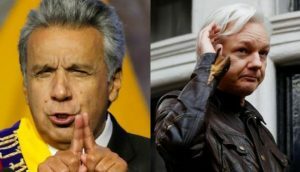 As applied to the specific case against Wikileaks, recognised as a media organisation in the UK, Ecuador has experienced more than a mild wave of coercion from Washington, in all likelihood plied with an ocean of cash and privileges that keep them in line with the will of the senate, military and intelligence agencies. The first evidence to which I refer is a letter sent recently from Washington to Quito, conducted perhaps at the behest of powerful authoritarian politicians, military elites and intelligence agencies and conducted in conjunction with elected representatives. They have so far made complaints that the hotly contested, protested embargo on Assange’s communications was lifted after six months and expect that the US ought to be able to determine the outcome of Assange’s fate. Looking at the significant demands to overturn Assange to the “proper authorities” using resolute language gives us a rare look under the imperial hood to see the true underlying dynamics of bilateral power, to understand that in all truth, the balance of power is not equal. The letter reveals that Washington is extremely concerned to capture Assange regardless of the ostensible sovereignty of the Ecuadorean administration in its own territory. Democrats and Republicans alike say they are unanimously united in backing the previous US administration’s belligerence in virtually every battle fought. Moreover, corporate, military, intelligence agents’ support pertain irrespective of whether the electorate support, or know anything about, their authoritarian agenda. Incumbents are often rewarded with total power by a democratic election process corrupted by the corporate and military bankroll while earnest representatives acting in the common good are punished for their principled stances. As a result of the corruption of the electoral college bi-partisan support for imperial agendas has rocketed to galactic levels. This data may tempt you in to concluding that diplomacy is the main issue. 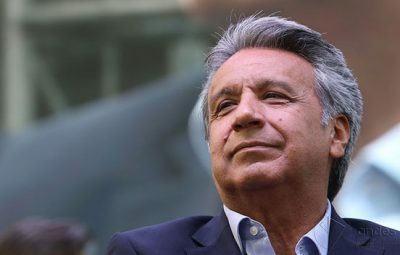 If co-option by persuasion is the main bi-partisan strategy, then sustained campaigns to make Ecuador enact US policy seems the prevalent strategy. But this would be wrong. That’s because of the role bribery plays and because of how stooges are chosen and paid to enact US agendas and subvert the popular will in these troubled, neo-imperial times. Stooges exhibit independent judgement and behaviour on the surface. They deliberate in national parliaments and hold ballots, seemingly independently, often giving the illusion candidates have a choice. They also lobby for the US backed result. Candidates who lead by example and do not conform to imperial policy are disadvantaged because they do not curry favour and are excluded from the most powerful public offices. Gifts from Goldman Sachs and the US government totalling just short of a billion USD show that, beyond persuading with words, Washington actively bribes Latin America to do its bidding. This suggests that by coopting national leaders, who in turn coopt national governments and democratic assemblies by hidden lobbying, the corporate and military elite run Quito from Washington through shadow networks. Diplomatic pressure and active bribery show us what international relations theorist Nye sensed, that American imperial politics has evolved in to a more subtle form of trench warfare, with the most powerful side expending huge amounts of energy, money and staff to gain huge ground in Quito. But victory will not come to the monied interests of old elites who cultivate stooges in developing countries in the vain hope of maintaining their Project For A New American Century. The trenches are on the internet, the battlefield being reshaped by a congress of socially conscientious computer scientists invested in creating a freer, less restricted, truly democratic society buoyed by a lively exchange of ideas and information, not corporate finance. That the only strategic possibilities for empire include repressing dissent, which will broaden and deepen resistance, or giving up entirely, shows us that the winners of the new world will be those who don’t fit neatly in to American power and world order.